Add sophistication and elegance to any ensemble with this bracelet. 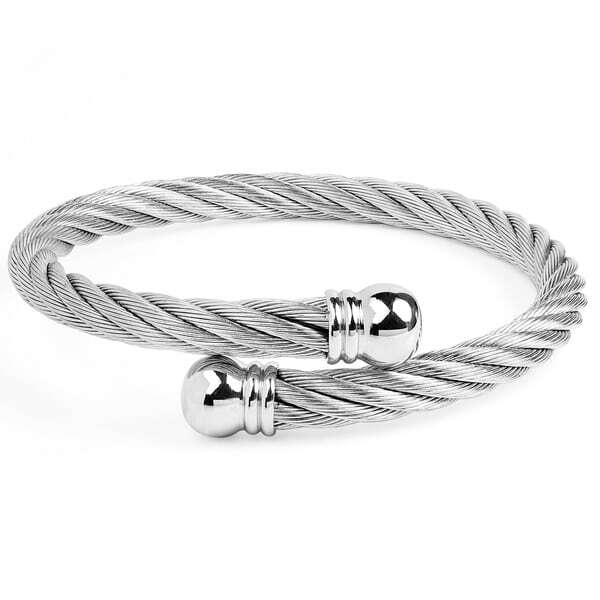 Crafted from stainless steel, this cuff showcases a twisted rope design and easily adjusts to fit most wrists. Dimensions 7.52 In. X 0.24 In. X 0.24 In. 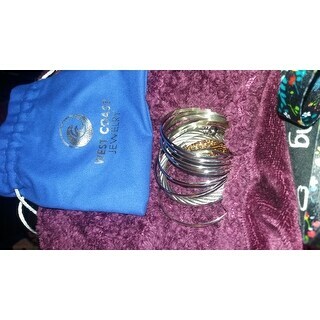 This bracelet was a beautiful addition to my collection. It looks much more expensive and has a good weight quality. I would definitely recommend this bracelet to others. This is exactly what I WASN’T looking for, but it was love at first sight. Couldn’t wait to get it and not disappointed. Good weight to the bangle, easy to get on, and looks high end, with a noticeable presence on your arm. Stainless is such a good material for durability and I plan to wear every day in summer, as I’m outdoors a lot, cruising, swimming, etc. Nothing much will hurt it. Don’t hesitate...great bracelet! This is an absolutely gorgeous piece. The feel and fit is absolutely. This piece is sturdy , and its thick. This is the most solid bracelet I own. I highly recommend this item, you will not be disappointed. Probably one of nicest cuff bracelets I have. Very flexible and could stretch for a wrist up to 8”. Love this cuff and comfortable, durable and looks expensive. The rope bracelet is a nice economical gift. It's pretty and I love how it expands to put on. I don't have to wrestle with it to get it over my hand. It's unique how the bracelet overlaps and isn't just a standard cuff. I like this bracelet a lot however, the rope is a little dull. I love that you can make it tighter or larger with a little pressure so it fits perfectly. Great quality and packaging. She loved it! I liked the price. It was very responsible. Love it. Soft and steady at the same time. "Love it ,how much? Michael H. Tel:+*** E-mail:*"
You can find the most accurate pricing on the product page after selecting the color option. Looks like one I had before.